After a decade of support, Canadian funding for Arctic research has flatlined. Researchers hope the federal budget released next week will change that. Jennifer Provencher’s Instagram feed is flooded with images of snowy glacier-shaped landscapes, small propeller planes, seal skins and seabird eggs. A postdoctoral fellow at Acadia University in Wolfville, Nova Scotia, Provencher flies throughout the Canadian Arctic working with northern hunters and fishers to study the many ways human activities are affecting Arctic marine ecosystems, including seabirds, fish, seals and other animals. The cost to do northern science is enormous, says Provencher, and Canadian researchers working in the Arctic are feeling the pinch. Paying for aircraft hours, shipping gear and flights to visit remote communities in the off-season to secure permits and engage with hunters can rapidly deplete budgets. A recent look at the financial costs of doing seabird research found working in the Canadian Arctic was 13 times more expensive than doing the same work in southern Canada. 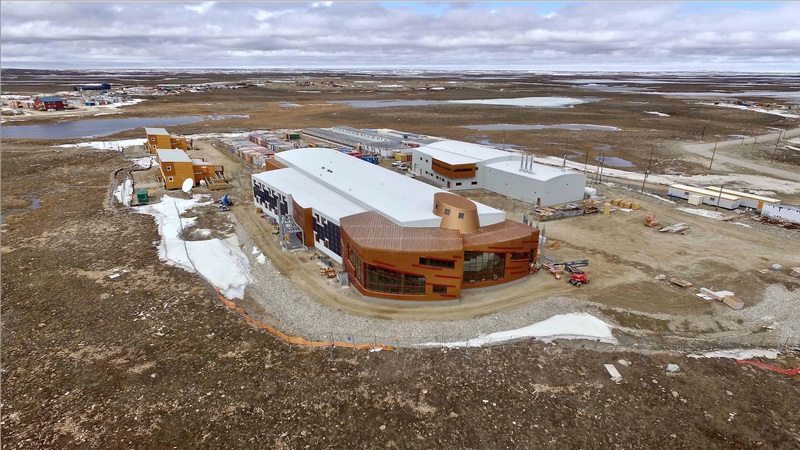 After more than a decade of relatively healthy funding, including CA$156 million during the 2007-09 International Polar Year and the construction of the Canadian High Arctic Research Station in Cambridge Bay, Nunavut, support for Canadian Arctic research projects has flatlined. Costs are skyrocketing, grant budgets are tight and many of Canada’s influential Arctic research projects will wrap up this year, leaving northern scientists wondering about the future. “It is a little precarious,” says Greg Henry, a tundra ecologist at the University of British Columbia in Vancouver. Many within the Arctic research community are worried that without an influx of funding hard-won advancements in polar knowledge may soon be lost and important datasets could be interrupted. “We are not doing what we should be doing research-wise to meet our domestic and international responsibilities,” says Louis Fortier, a biological oceanographer at the University of Laval, and the scientific director of ArcticNet. For researchers who have welcomed the Trudeau government’s statements on the Arctic, commitment to climate change, biodiversity and evidence-based decision-making, the lack of clarity on the future of Arctic research has been unsettling. But with the release of the 2018 federal budget scheduled for next week, they’re hopeful for a sea change. John England, an emeritus professor at the University of Alberta, says the financial pressures have been creeping up on academic researchers since the 2000s. The Polar Continental Shelf Program, which oversees field logistics across northern Canada, supplying researchers with snowmobiles, tents, satellite phones and transporting them to field sites on helicopters and planes, now recovers the cost of these activities from researchers. Some researchers in the natural sciences, but not health or social sciences, receive an additional CA$10,000 to $25,000 annually to help offset the high costs of northern research, but many say it’s not enough. After a CA$95 million surge in 2016, the funding to the three major granting agencies that support academic researchers fell flat in the 2017 budget. A 2017 independent review of Canada’s support for basic scientific research recommended the government phase-in investments over four years, to boost their budget to CA$4.8 billion per year from CA$3.5 billion, to end the long spell of underfunding. The 2018 budget is the first big chance for the government to deliver on those recommendations. The Arctic research community is looking forward to the government’s release of the budget on Feb. 27. “Something about the Arctic is bound to happen,” says Henry. In addition to increasing the number of available grants — and recognizing the higher costs of northern research — the community hopes the budget will recognize that the field of Arctic research must be enriched. Specifically, they’d like to see targeted funding to retain early-career Arctic researchers, Arctic-focused academic positions at universities, and a doubling of the PCSP’s budget, not to mention stable financing for the country’s key Arctic programs. 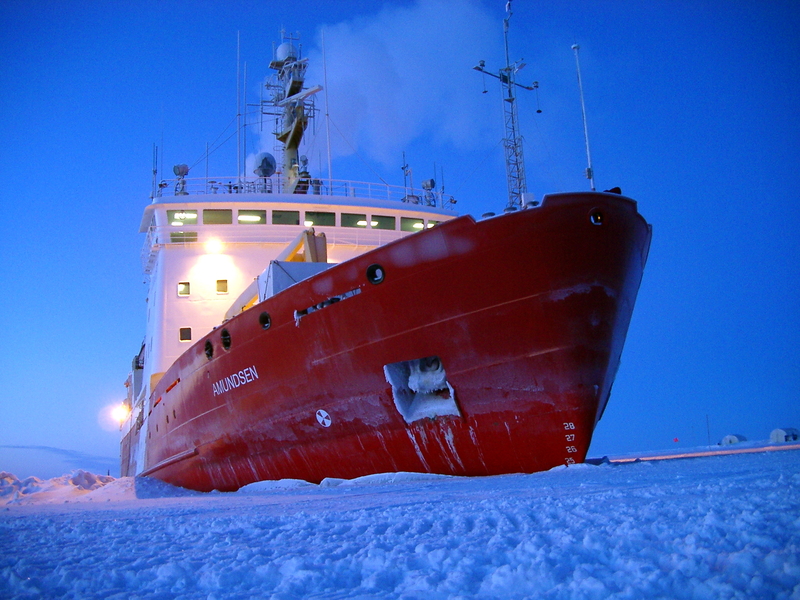 Founded in 2004, ArcticNet, a network of academics, government-based researchers and Inuit experts studying climate change and its impacts in the coastal Canadian Arctic, has received CA$113.2 million to fund research and coordinate time aboard the CCGS Amundsen, Canada’s research icebreaker. But the 14-year-old program will end on Mar. 31. Under to new rules, ArcticNet can apply for a five-year extension, but funding from that program won’t be delivered until 2019 and even if it receives all the available money, it will still see its funding slashed. “Even if we get 100 percent, we’ll be funded with less than we were, and it is doubtful that we will get all of the envelope,” says Fortier. Fortier has also been chasing down support for a modern research icebreaker to replace the aging Amundsen. Although the federal government has commissioned a polar class icebreaker with a revised price tag of CA$1.3 billion, it is not expected to be completed before 2022, and Fortier says it may be further delayed until 2025 or 2030. Other programs are also on shaky ground. Funding for the the CA$35 million Climate Change and Atmospheric Research program, launched in 2012, will expire this year. Canadian scientists raised concerns last year when they realized the 2017 federal budget did not include a replacement for CCAR that would allow them to continue data collection without break. Much of the program’s research focused on the Canadian Arctic. The projects allowed university researchers in Canada to observe and model the effects of changing sea ice and snow cover, the exchange of carbon dioxide, oxygen and heat between the ocean and the atmosphere, and the measurement of chemical tracers to study the rapidly changing Arctic Ocean. Last November, one of the projects, the Polar Environment Atmospheric Research Laboratory on Ellesmere Island, earned a last-minute reprieve when federal science minister Kirsty Duncan reported the facility would receive an 18-month funding extension of CA$1.6 million. Despite the continuance, Dan Weaver, a PhD candidate, researching the high Arctic atmosphere at the University of Toronto, who works with measurements taken at PEARL, says he not reassured. “There’s no real indication that the government plans to renew or replace CCAR,” he says. Canada’s Arctic scientists are looking not only for financial commitment to Arctic research in next week’s budget, but also an long-term vision for Canadian Arctic research. With an election scheduled for 2019, this is the year for the Trudeau government to make a statement, says Weaver. CORRECTION: An earlier version of this story incorrectly stated the amount to which an independent review recommended increasing funding for basic research. The review recommended an increase to CA$4.8 billion, not CA$8.4 billion.